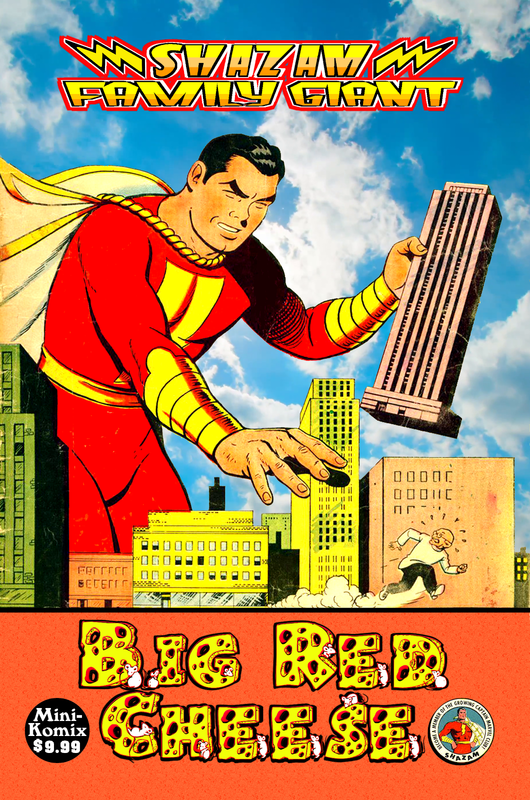 Shazam Family Giant serves up a huge slice of Big Red Cheese! The original Captain Marvel flies into six solo stories, and a trio of tales guest starring Captain Marvel Jr. plus Mary Marvel! The World's Mightiest Mortal vexes the Volcano Men, grabs gremlins, meets an immortal, finds a genius, punches pirates, gains the Midas touch, seeks the Miracle Stone, and duels the evil Dr. Sivanna. 100 Big Pages of Golden Age greatness! You can get this in print through us, plus at Lulu, also download it at Drive Thru Comics, and as part of the Shazam Family Giant Collection Bundle.